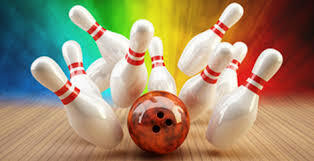 All homeschool families in the Montgomery area are invited to join Covenant Academy homeschoolers for lunch and bowl at 11:00 AM on Tuesday, March 14 at Bama Lanes on Atlanta Hwy. in Montgomery. Cost is $9.00 per person for shoe rental, three games of bowling and lunch from their snack bar. Parents and pre-schoolers who do not wish to bowl may come and just buy lunch. They do offer bumpers, racks, and smaller balls so little ones can bowl. Either way, we need a head count. If you are interested, email me by Monday or call the school office at 334-356-5205 and leave a message on the voice mail including how many are coming.